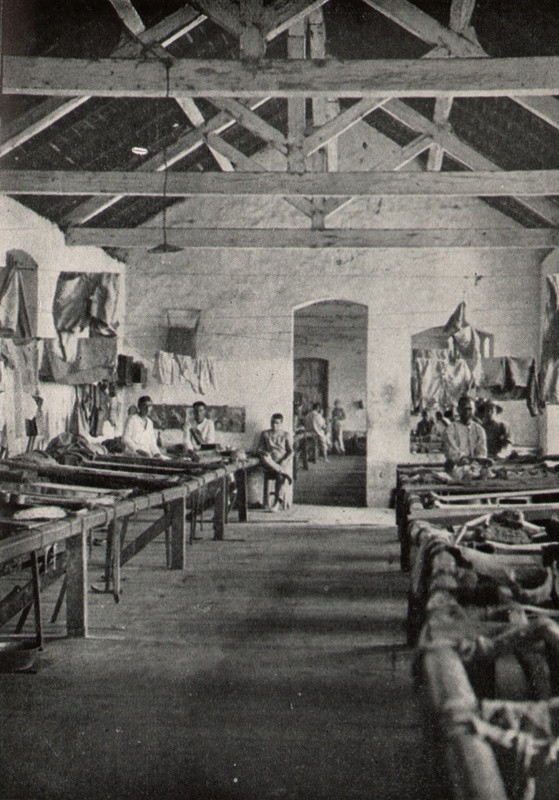 In his short story "In the Penal Colony," it is often accepted that Kafka was referencing (in his usual slightly oblique and ambiguous manner) the actual French penal settlements (usually referred to in the singular as Devil's Island) in French Guiana. In the story, a reference is made to the "tropics," and the Officer and the Traveler (or "Visitor" or "Explorer," as he is described in various translations) speak in French. 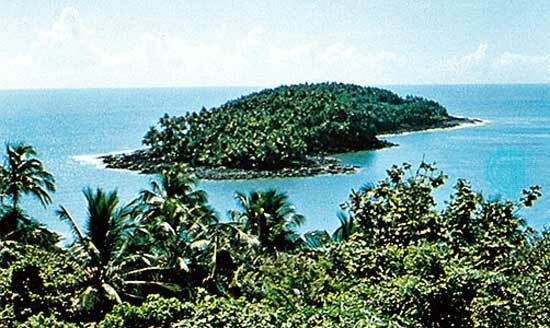 But the landscape is described by Kafka as barren, rocky, and desert, rather than the actual (ironically) lush rainforest environment of Guiana—and it is also mentioned that the other characters in the story (the Soldier and the Prisoner) do not understand French (odd, considering they are both part of the military establishment). 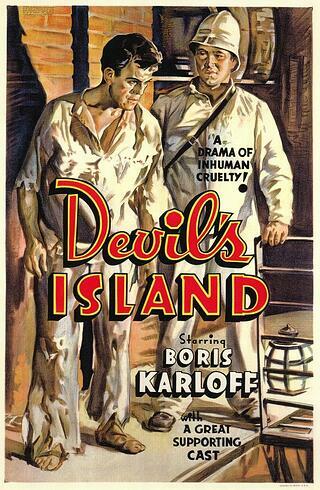 So like other locations in Kafka's disturbingly unhinged world, the penal colony is both terrifyingly real and suggestively mythic—just as the "real" Devil's Island was an actual place which has assumed mythic proportions in our cultural imagination. 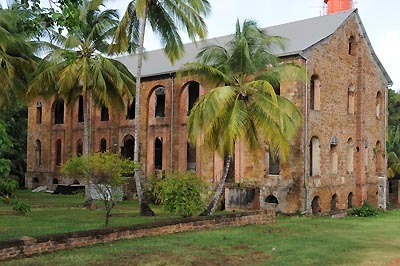 The penal colony of Cayenne was opened in 1852 and used for the exile of French political prisoners, mixed with the most hardened thieves and murderers, until the system was closed down in 1953. It was notorious for its desperate isolation, both physical and mental, the unceasing brutality of the punishments, the scourge of tropical disease, and the overwhelming sense of a cruel finality. 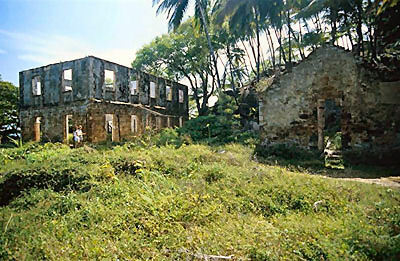 The actual prison extended over several locations, but the most isolated was the Île du Diable, and its most famous prisoner was Captain Alfred Dreyfus. A vast majority of the more than 80,000 prisoners sent there never made it back to France. Few prisoners escaped. In 1854 France passed a new law of forced residency that required convicts to stay in French Guiana after completion of their sentences for a time equal to that of their forced labor. A limited number of convicted women were sent with the intent that they would marry freed convicts and aid in the development of the colony. This policy was discontinued in 1907. 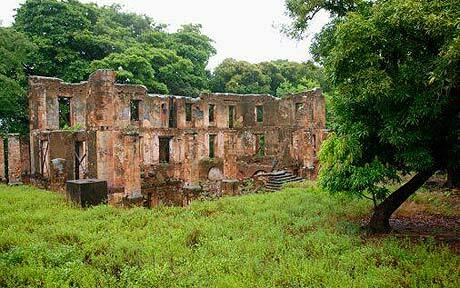 The settlements, now in seemingly picturesque ruin and overgrown with the relentless force of the jungle, have become a tourist destination—the actual Devil's Island can be seen only from off-shore. Read more here. In 1899, five years after the beginning of the Dreyfus Affair, the French pioneer filmmaker Méliès made a silent film on the subject. It is of more historical interest than dramatic or visual—and it has the dubious distinction of being the first movie censored for political reasons. France indeed was very sensitive to the notorious image that Devil's Island conjured up and, over the time of its existence, tried to censor all references. But the image lives on in our collective unconscious—nowhere stronger than the horrific and disturbing Kafka short story and the powerfully dramatic Glass opera derived from it.